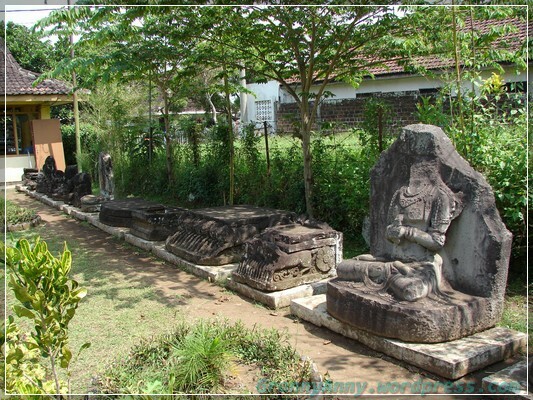 So finally we were on the way to our final destination, the Candi Singosari. Of course, since we were driving on the secondary road, there were more than one occasions that we saw the traditional way of transportation. This time we saw a Cikar, a buffaloes-drawn carriage. 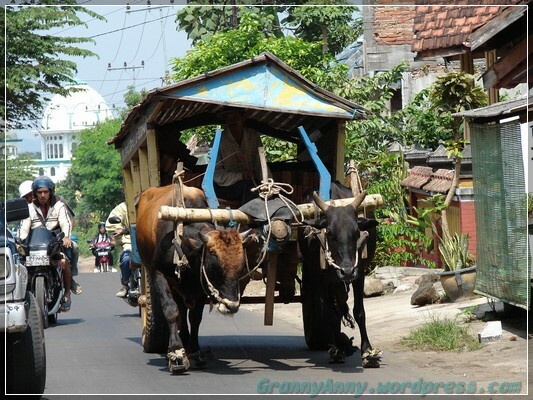 Usually Cikar is used to carry heavy loads such as bricks, crops, etc. The horse carriage, Dokar, is usually used to transport people. 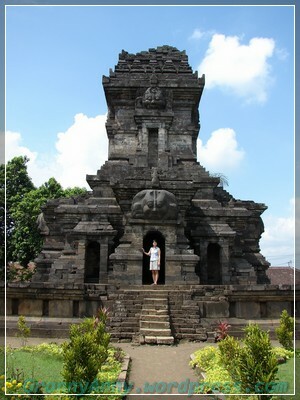 So here we were in the Candi Singosari. 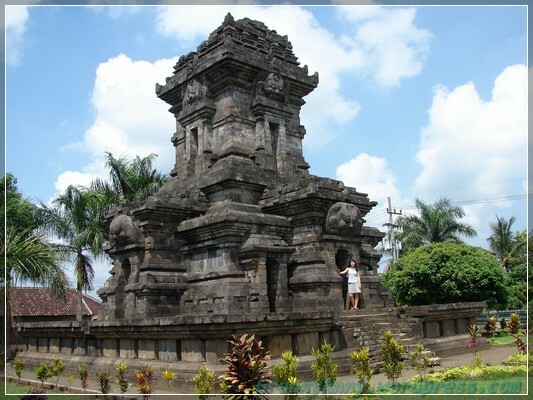 This temple was said to be built by King Kertanegara, the last king of Singhasari Kingdom. 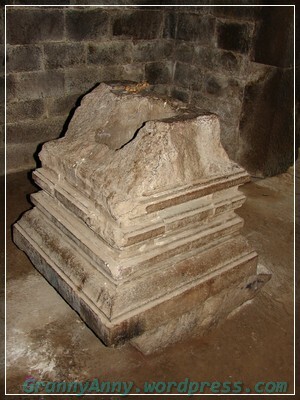 This temple was found in the mid 1800s by the Dutch. It was said there were at least seven temples in the surrounding site. However, only this temple survived the time. Inside the temple was this structure. It was said that water would come out of this structure. 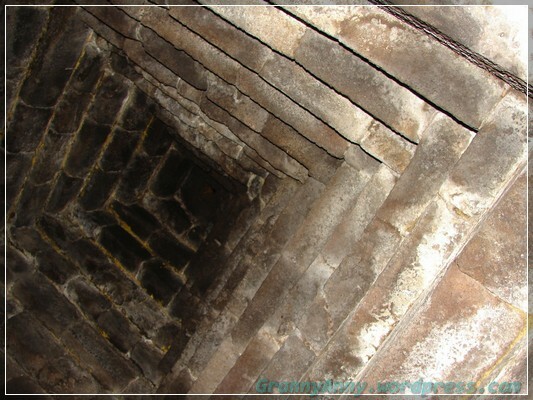 This is the view to the top of the temple from the inside of the temple. 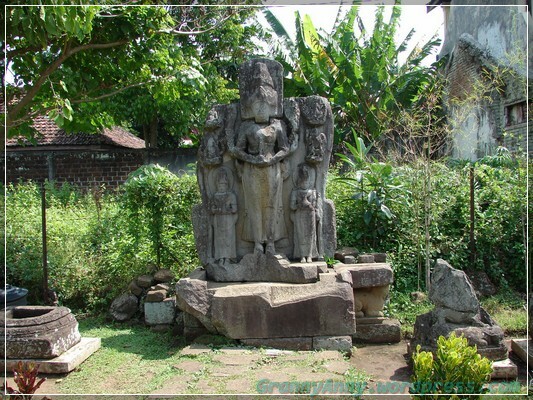 This is Arca Resi Agastya, one of the remaining statues inside the temple. There were other statues that were taken to Leidan, Nedherlands. 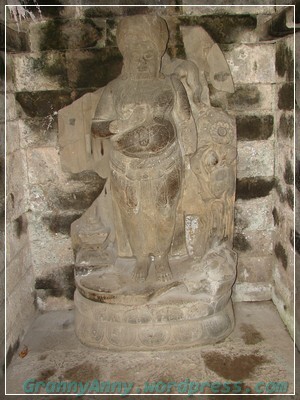 It was speculated that this particular statue was left here because of its damaged condition. 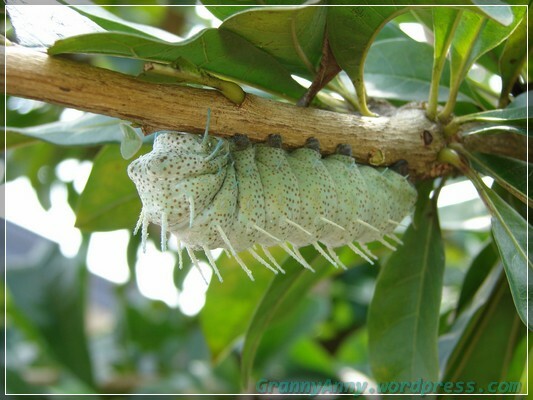 We found this humongous caterpillar in the temple’s garden. He is rather cute, isn’t he? He is full of freckles. I can imagine that he would have been a big butterfly with his rather large body. 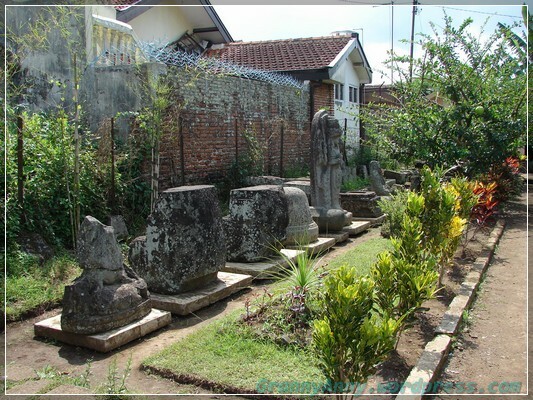 These were remnants of the statues among the scattered and damaged temples. So, these were my little blurbs of what we saw last year. Maybe it will bring out your curiosity and you might want to visit it in person too. Until next time!